Foodie shops, edgy restaurants and Union Station lure commuters, office workers and gourmands to this neighborhood of creatives. This rising neighborhood just north of the U.S. Capitol takes its name from its location – north of Massachusetts Avenue NE. 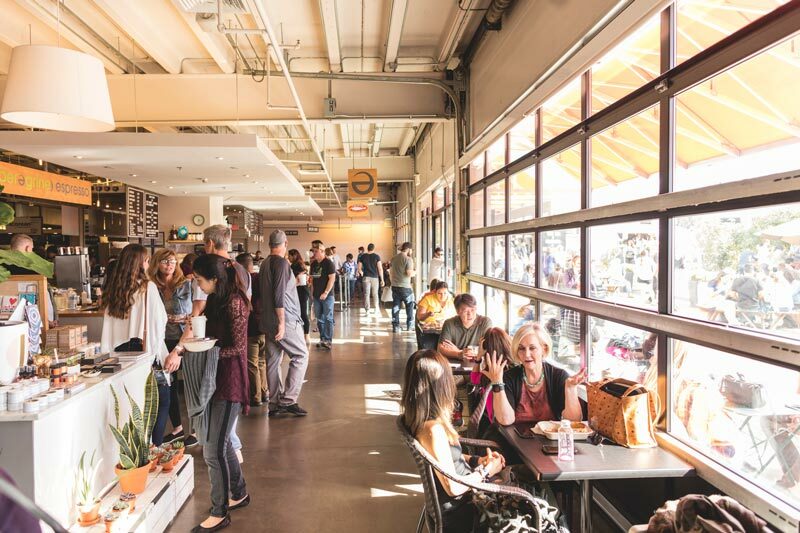 Slurp oysters and buy spices at hip gourmet destination Union Market, rent a bike and hop on the Metro Branch Trail or explore new businesses opening in old warehouses. Catch new-release movies at the Angelika pop-up location at Union Market. Beer, wine and snacks are available, and the funky lobby is full of retro silver-screen posters. 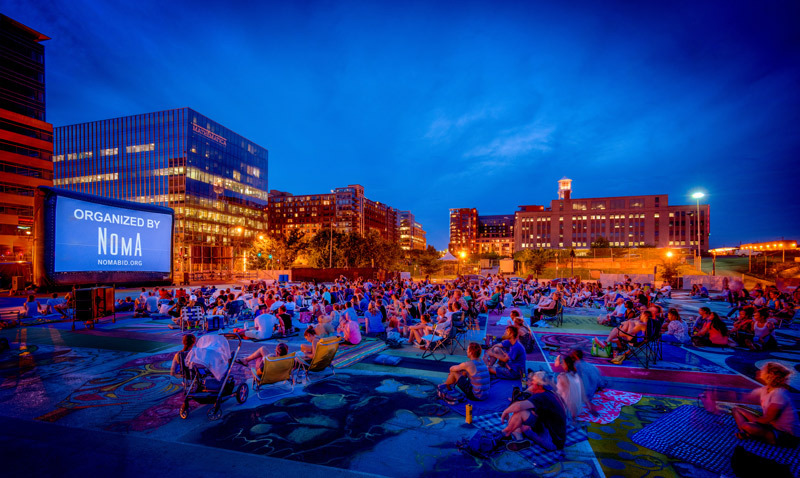 In summertime, you can also catch free, regular movie screenings on Wednesday evenings at the family-friendly NoMa Summer Screen film series in Storey Park. Brooklyn-style bagels, Southern biscuits and locally made sausages headline the can't-miss eats at this rehabbed mid-century market. You can sidle up to the bar at Rappahannock Oyster Co., where sustainably farmed bivalves get paired with a nice wine list or try the brats and brews at Red Apron butchery. Either way, come hungry and expect crowds. 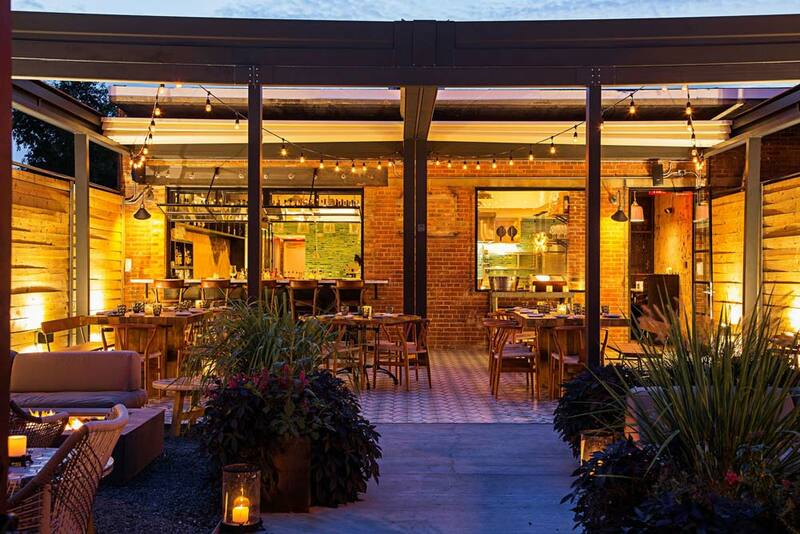 West Coast-cool decor – an enclosed courtyard with low-slung sofas and firepits, an indoor dining room with an exposed kitchen and lots of exposed brick and glowing light inside – sets the scene for hot chef Nicholas Stefanelli’s inventive pastas, roasts and veggie combos. Prix-fixe menus highlight luxe ingredients like foie gras and lobster, but the vibe is relaxed and lively at the Michelin-starred Masseria, and the cocktails are inventive, too. Shop for locally made tea towels, unusual cookbooks and cucina utensils at local food blogger Amanda McClements’ carefully curated gift and housewares boutique at Union Market. Cool finds range from cocktail mixes to colorful teacups. Frequent events like tastings and author readings up the appeal. 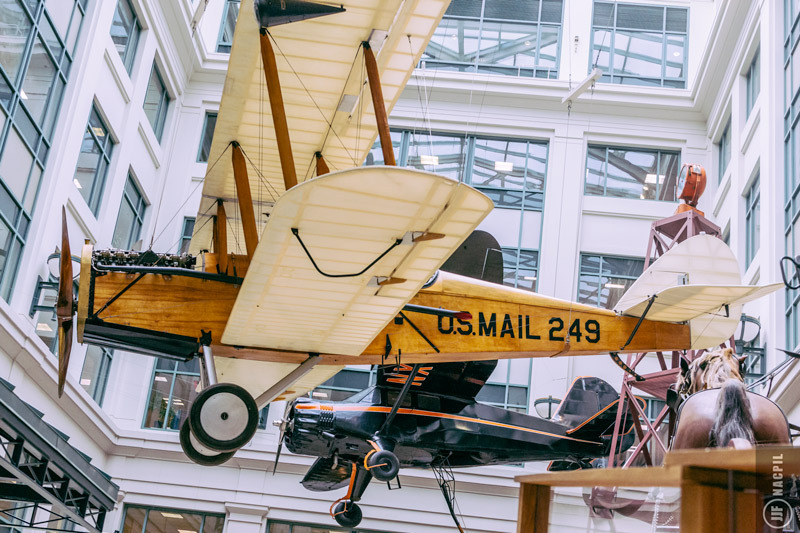 In a landmark 1914 post office, this Smithsonian Institution museum showcases exhibits and artifacts devoted to philately (stamp collecting) and the history of the U.S. Mail. Look for early 20th-century planes, rare stamps (like a printed-upside-down, 1918 “Inverted Jenny”) and Pony Express saddles. Rent wheels from Capital Bikeshare or put on your walking (or running) shoes to hit this paved, eight-mile trail between Union Station and Silver Spring station. Along the way, expect tree-shaded stretches and views of other neighborhoods like Brookland and Capitol Hill. 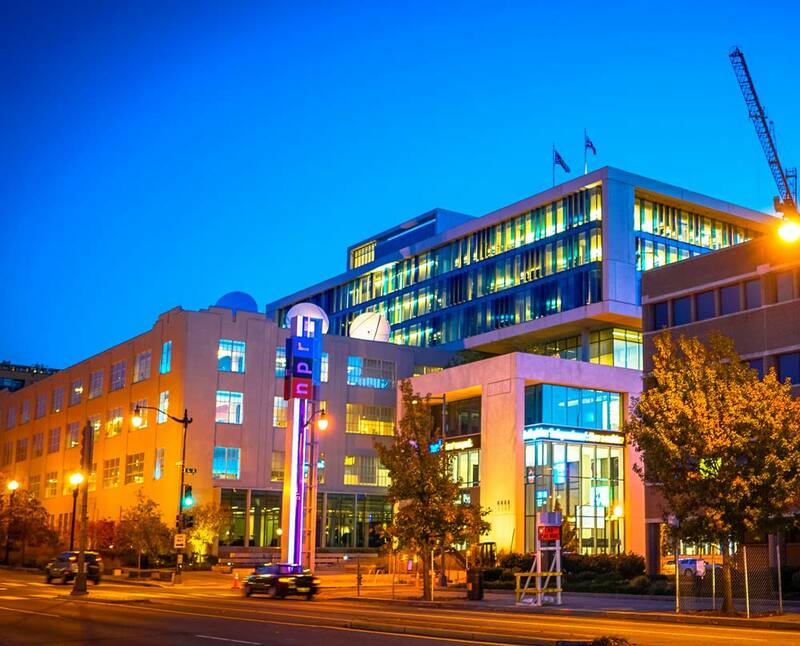 Walk through the headquarters of one of the most popular radio stations in America. Check out the museum-style exhibit at NPR, pick up a mug or some other NPR gear, or take a free tour each weekday at 11 a.m. The second-busiest Amtrak hub in the nation, Union Station is situated along Massachusetts Avenue NE. 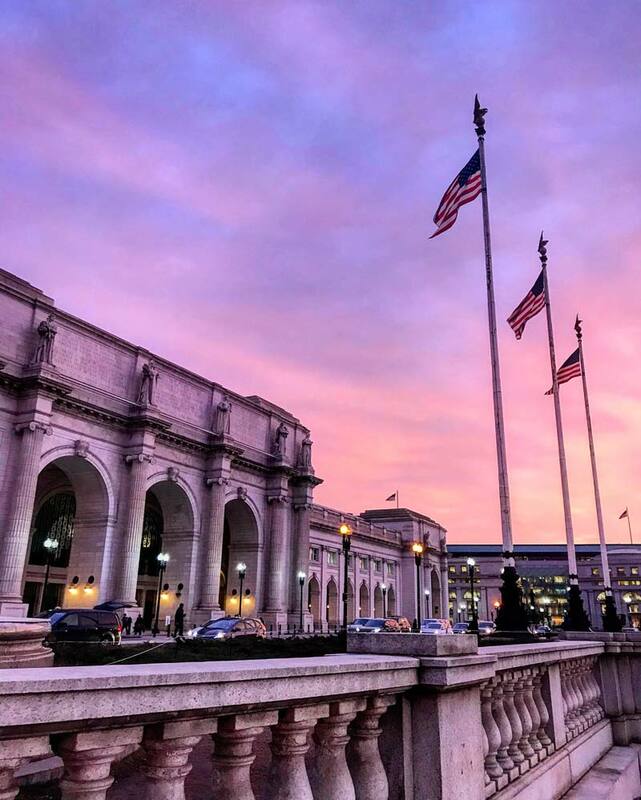 With shopping, restaurants and tours galore, Union Station is a great place to stop as you explore NoMa. North of Massachusetts Avenue NE near Union Market is home to a thriving vodka, gin, rum and bourbon distillery scene. 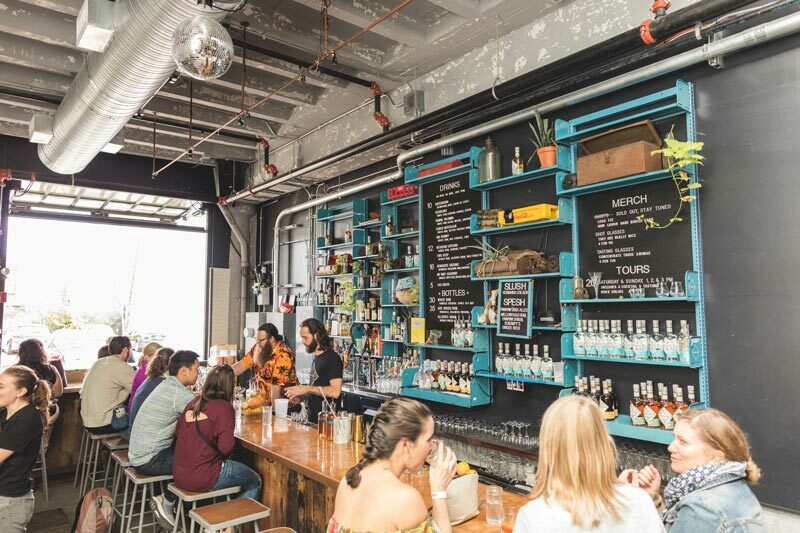 While there are plenty of distillieries in and around DC, visitors to NoMa will find Cotton & Reed producing rum in a creatively outfitted former ice warehouse, as well as One Eight Distilling, Republic Restoratives Distillery, Jos. A Magnus & Co. and New Columbia Distillers/Green Hat Gin. If you’re excited to explore all quadrants of the nation's capital, continue to make your own discoveries Washington, DC's neighborhoods.